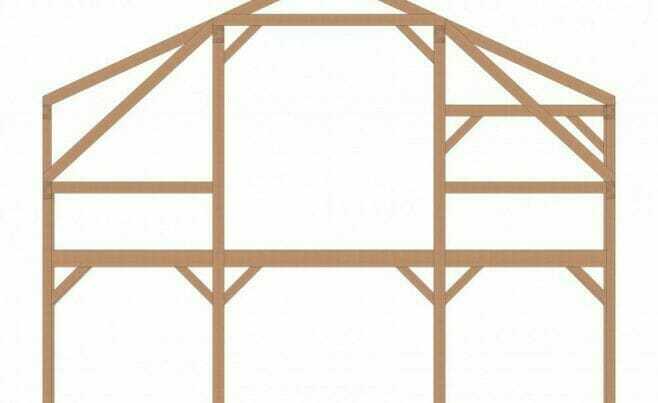 The Gambrel Style Frame is great for farm homes. 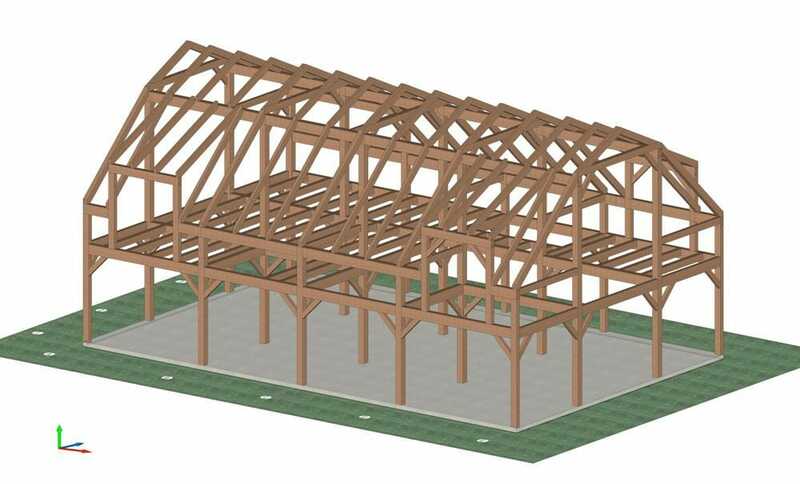 It has a unique roof design with two sloping timbers. 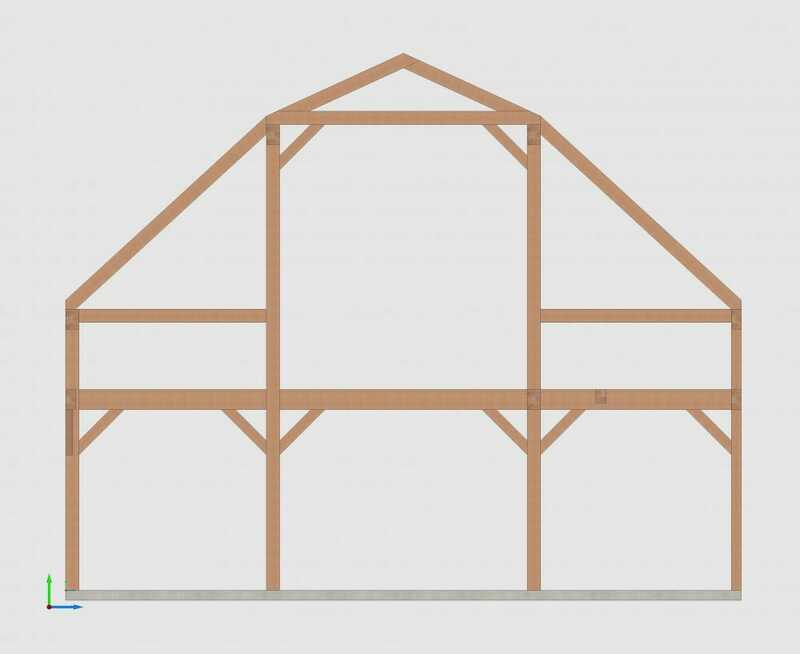 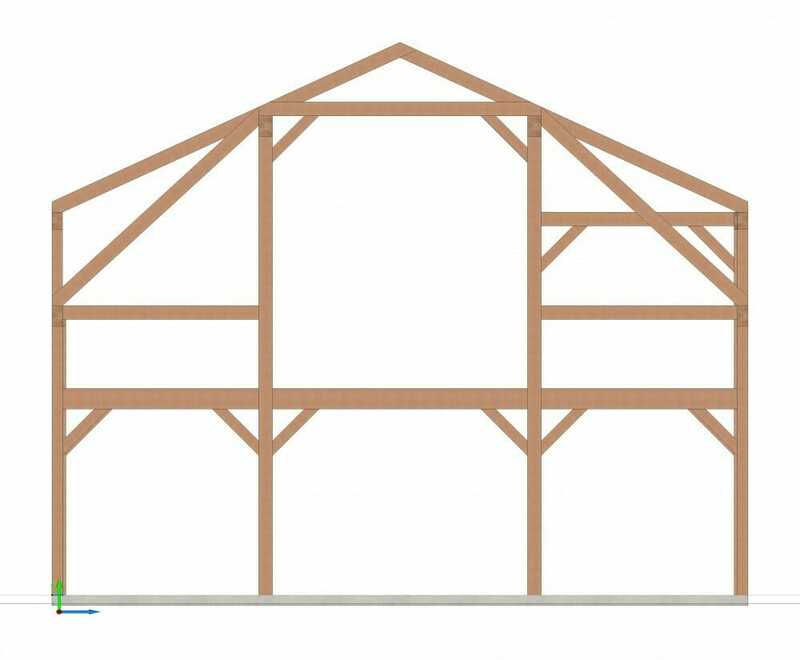 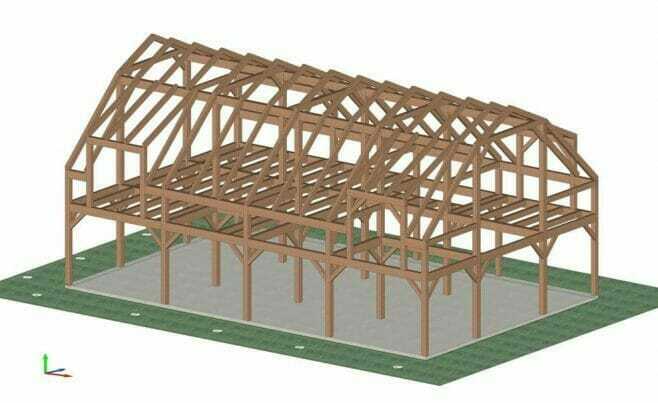 With this style of frame a home can have high ceilings and a slanted roof, which is important for buildings in areas that get heavy snowfall. 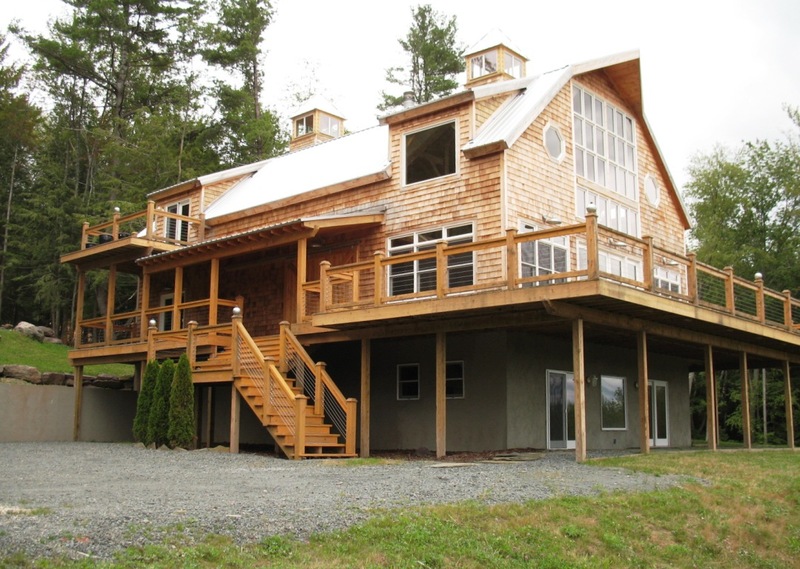 The Jupiter Home is a great example of a VTW gambrel style frame. 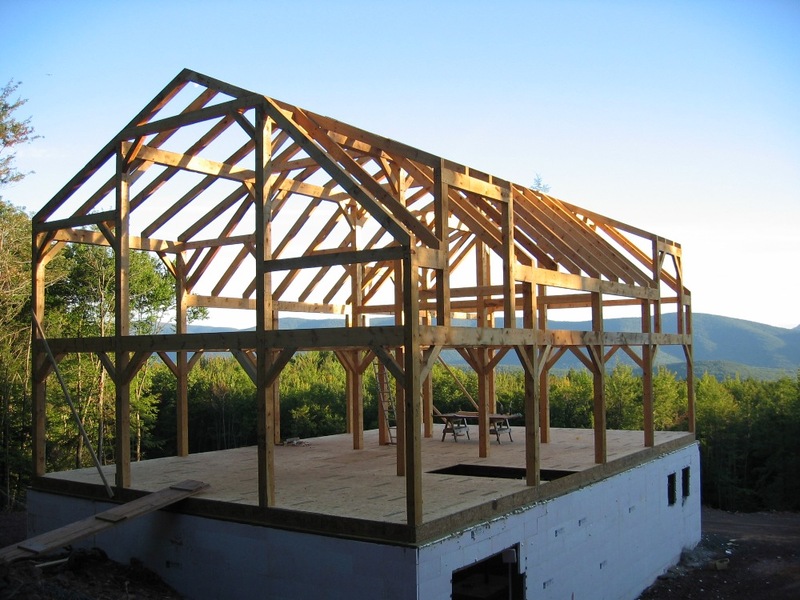 A completed gambrel style timber frame home with traditional joinery and a custom design. 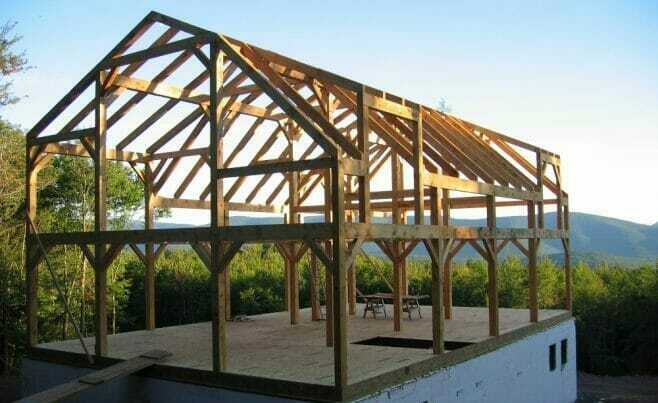 An exterior view of the timber frame gambrel house. 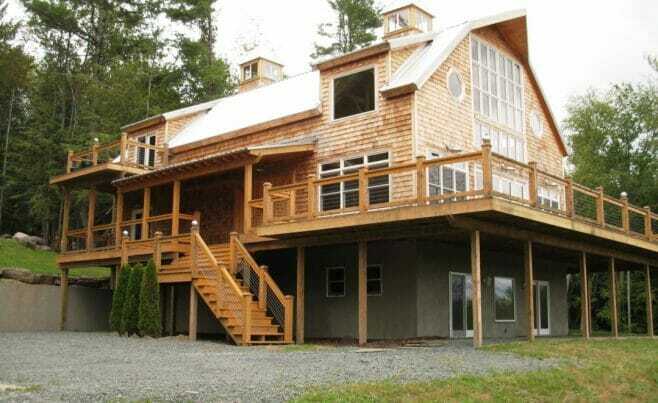 The home features huge windows and a wrap around porch.